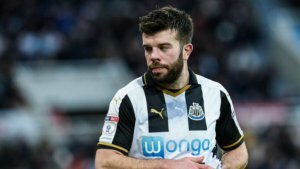 Grant Hanley has had a tough time of it since he signed on for us from Blackburn Rovers last summer, but we still think lad can have a bright future at Newcastle under the expert coaching of Rafa Benitez. What has impressed us with Grant is his maturity, leadership and professional attitude when he hasn’t played as much football this term as he would have liked at Newcastle. But he started the game yesterday in place of captain Jamaal Lascelles and put in an assured display alongside Ciaran Clark. And after we played really well in those first 70 minutes, Newcastle came under pressure in the late stages, much like we did against QPR on Wednesday night. But we held on well this time for the win, but we should have put the game to bed with the chances we had – especially in the first half. But a win is a win and we needed it yesterday after dropping those 2 points on Wednesday night. And Newcastle are top of the Championship so we are not complaining – in fact we are simply delighted the lads got back to our winning ways and with a good performance too. Good words there from Hanley and that was the first time he has started a Championship game since the first game of the season at Fulham. We think Grant now has a good chance of starting the game next Saturday at Wolves in the late kick-off game. We need another win then and we will have Christian Atsu back from the African Cup of Nations and maybe even Dwight Gayle. although Rafa will not take any chances with our top striker as he recovers from a long-standing hamstring problem. Hopefully Jack Colback will also be fit, especially since Isaac Hayden went off injured at the start of the second half yesterday. An excellent result and good performance yesterday from the lads – they did very well indeed. Who Was Newcastle's Best Player Against Derby? I know Ian Holloway said post match on Wednsday that Shelvey’s ascerbic nature is part of his package as a footballer and no one wants to to curb him too much. However the winding up at Molineux next Saturday will be unrelenting , he will have to face 90 minutes of solid sledging. Rafa has to take Jonjo to one side this week and tell him to do his talking against Wolves with his feet. The best answer for the 5 week ban is to play Wolverhampton Wanderers off the park. No chance of getting Mooy. City will overprice him dor sure. We both got it right Friday – me playing Hanley and Mitro and you on his steven taylor chest beating. Much much better for 65 – 70 minutes – quicker tempo moved the ball should of been further ahead before we started to get nervous and pain. Lucky to collect the three points in the end – great header off the line by Yedlin and they missed to open goals. But all in all much better and the crowd were u for it today. Diame first half was excellent linking up the play in a more forward role – lost his impetus when dropped back like a third centre half leaving space for Derby to exploit. 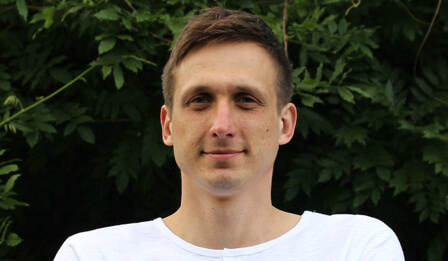 Mitrovich – waste of space and Hayden was not much better – looks like he is carrying a injury. Dummett my man of the match great tackle commanded the air and was good coming forward. Darlow 7 did what he had to do until nerves crept i dropped a cross ad his kicking was poor. Hanley 8 Best game in a TOON shirt marshalled the back four and played a lot closer to Clark so no big hole through the middle for Derby to drive. Hayden 4 poor today looked a yard ad half off the pace – got caught in possession to many times – looked like he was carrying injury and no surprise he came off at half time. Mitrovich 4 Poor seems he does not want to head the ball looking for the defender to knock out the way and chest the ball down – had new boots on – looked like they were full off lead. Add – to be fair laid on goal. Perez 5 same again plenty of running but gets knocked off the ball to easy – yet nearly scored at the end – goalie was lucky should of had a free kick at least. maybe got to rest Hayden. Me would of brought Murphy on for Mitro after a hour.